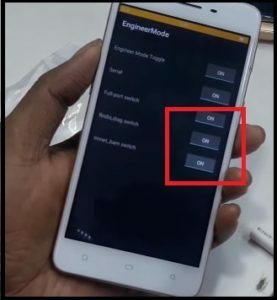 Recently we published a tutorial to repair IMEI of Oppo A71 using Oppo Service tool. Oppo A71 is MTK chipset based android device and user can flash new IMEI on oppo using free Oppo customer service tool. 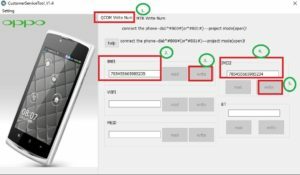 Same as MTK devices, users can write IMEI on Qualcomm Oppo devices too. But process for Qualcomm Oppo IMEI repairing is little bit different from MTK oppo devices. Best thing about Qualcomm Oppo IMEI repair method is that it’s an easiest method in compression of MTK mobiles. 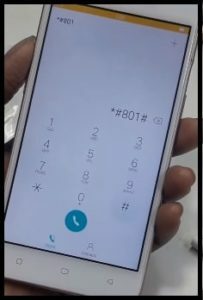 Probably you may know that Oppo customer service tool is one of the best working and tested IMEI repair tool for all Oppo mobiles [Qualcomm & MTK]. Users can use this tool to fix null IMEI repair tool without box. 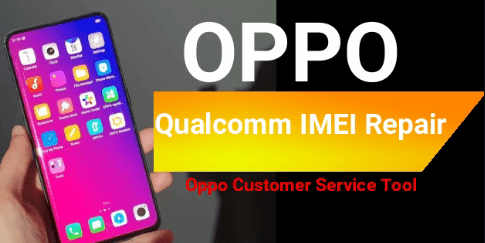 To make it easy to understand, we are going to describe complete Oppo Qualcomm IMEI repair method using Oppo IMEI Tool [Oppo Customer Service Tool]. 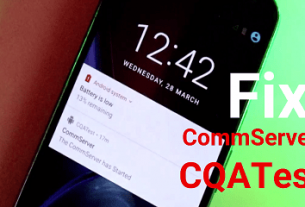 Simply download latest Oppo Qualcomm IMEI Tool / Oppo customer service tool and fix null IMEI or Invalid IMEi issue within few minutes. Moreover, it’s completely free and no need to use any premium IMEI repair tool or box to write IMEI on any Oppo Qualcomm / MTK mobile. This Oppo IMEI write tutorial is only and only for Oppo Qualcomm chipset based android devices like Oppo A37f / Oppo A37FW mobiles. Method is different for Oppo MTK chipset based devices. As we already told you, Oppo MTK IMEI write methods are too different from Oppo Qualcomm IMEI write method. Basic difference in both methods is that “Database files” is must for MTK Oppo mobiles. But not required for Oppo Qualcomm mobiles. Let’s see how to use Oppo customer service tool to repair IMEI on Qualcomm Oppo phones? Make sure your Oppo device is based on Qualcomm chipset. If you don’t know chipset of your own Oppo device then do google for your device model or install “CPUz” application from Google play store and confirm chipset easily. 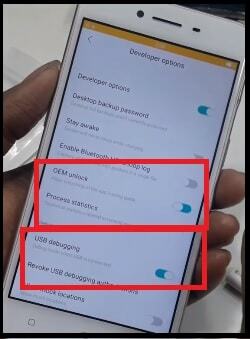 At first enable USB debugging & OEM Unock on Oppo mobile. 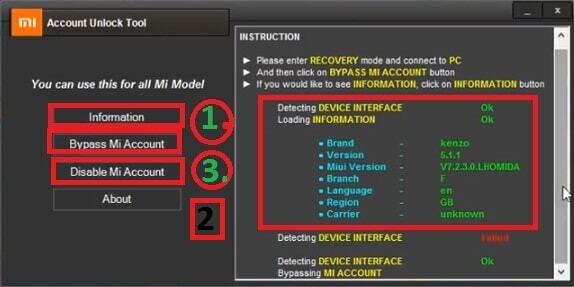 Please Note: To repair IMEI on any Qualcomm device, it’s must to enable DIAG port on the device. Above code will enable Qulacomm HS-USB Diagnostics 9091 port on pc. Now download and extract the downloaded “Oppo Service Tool” on pc and run “CustomerServiceTool.exe” as administrator. Once the tool launch, navigate to “Qualcomm Write IMEI Num” section and it will detect the device automatically. Now type IMEI1 & IMEI2 and flash them one by one. All Done!!! Reboot the device for once and check IMEI of the device by using *#06# code. In this way you can repair Null IMEI or invalid IMEI on Qualcomm Oppo mobiles using Oppo IMEI tool.